Are you struggling to meet your obligations for SMS training? 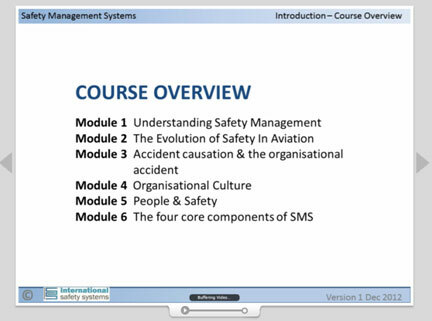 ISS have developed two online SMS training solutions covering basic awareness training for all employees and a more detailed course for management. These courses can be customised to reflect your company’s SMS policy, reporting obligations and corporate safety policy. The courses are web based and include the tools necessary to track attendance, completion and recency.